In another professional life I used to work for Myspace. I often times tell people this means I have old-school social pedigree. In truth, I am a millennial; social permeates through my DNA. Millennials may not have grown up with social media as it exists in today’s form but you can be assured we were ICQing and MSNing each other in secondary school and friending our neighbor’s cute nephew on Bebo at university. What I know to be true for my peers and I is this: the socially enabled enterprise is requisite to our professional success. What I also know, with absolute certainty, is businesses which fail to socialize will ultimately fail. We millennials conduct almost all aspects of our lives with an element of social. We eat lunch through a lo-fi filter, group WhatsApp each other to arrange cocktail hour, swipe for a soulmate and tweet service frustrations to our telco. In a business context we expect to be engaged this way as well. We want to be able to share and consume information at this same speed and with the same ease, collaboratively. Like the consumerization of IT, we’re in the midst of the socialization of communication. These are two very similar and interconnected trends. The premise is a simple one - our lives and the technology we use outside of the professional sphere have been transformed by consumer devices, like the tablet. We brought these devices into our work environments and thus set off a demand for the transformation of professional IT services to this same ease-of-use. So too, we are now doing with communication - we are highly social in our personal lives and we’ve brought these habits and expectations into the workplace. Today, to solve the demand for collaborative communication a raft of professional tools and services have gradually and innocuously entered our work lives. Most savvy organizations are in the throes of deploying corporate messaging services and cooperative documentation tools. These applications create efficiencies, increase productivity and encourage teamwork. But what does this look like for the sales process? In the B2B space today’s buyer is more informed than ever before. They have easy access to the plethora of resources our corporate is publishing. More importantly, they are more connected to and more engaged with their counterparts and the thought-leaders of their discipline than ever before. Our buyers are interacting and engaging in social forums, groups and blogs seeking advice and sharing their own experiences and wisdom as it concerns strategy and importantly suppliers. It’s that people and trust based paradigm – we have a greater propensity to accept endorsements from individuals in our networks than we do those from a faceless brand. The CEB (Corporate Executive Board) have studied this trend and shared the learning 75% of buyers are using social to inform buying decisions. This shift is realized on LinkedIn. Data from the Global Business Elite survey shows the highest level of penetration amongst the C-Suite is on LinkedIn compared with all other major business publications measured. In the U.S., these highly influential executives manage an average purchasing budget of $20 million and average a personal net worth of $2.4 million. The advent of social media and social networks has transformed the buyer’s process of acquiring information to make purchasing determinations. It has become very independent of the sales profession. In fact, the sales rep of today is only engaged 57% of the way through the buying cycle. As sales professionals we need to actively engage in the same channels as our buyers to broadcast value, educate and influence decision making. As has always been the case, our relationships and communications must reflect our buyers’ channels of preference. The positive by-consequence of social buying is, like our customers, sales organizations now have access to greater levels of insight about prospects than ever before. Today we are in a position to collate all this available information to deliver timely and relevant messaging to our leads. The social selling trend is just a natural consequence of social buying. Be where your buyers are. As communication continues to socialize, the next generation of sales tools permit sales teams to keep pace with buyers. 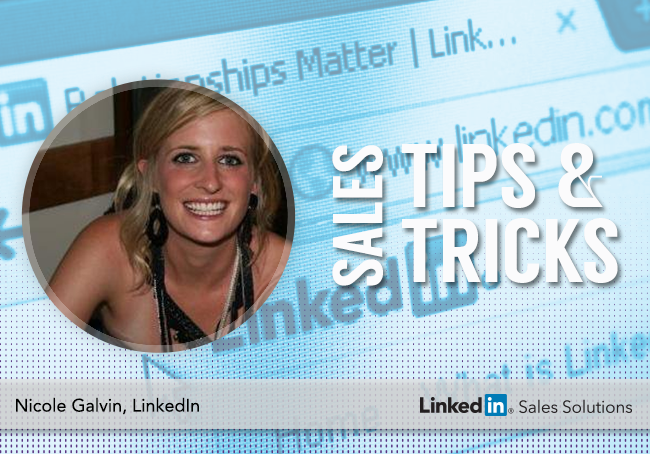 LinkedIn is in a unique position to solve many aspects of the transition to social selling. With a 300+ million strong highly-active and highly-engaged user base, more buyers are consuming and sharing professional content on LinkedIn than anywhere else on the planet. My millennial peers and I are fast coming up through the ranks of our organizations, some of us are even crossing the 10 year threshold of professional experience. If we’ve not done so yet, we will soon embrace social buying and social selling as our professional methodologies, because we are instinctively social. If you think we millennials are challenging the constructs of business today, consider the generation coming up behind us. The school children of now are learning to read with highly tactile and responsive iPad apps and they are chomping at the bit to reach the tender age of 13 when it is permissible to activate a Facebook profile. As you plan your business’ future-state have you considered how you will accommodate these new professionals? More importantly, do you know how you will engage these future customers?